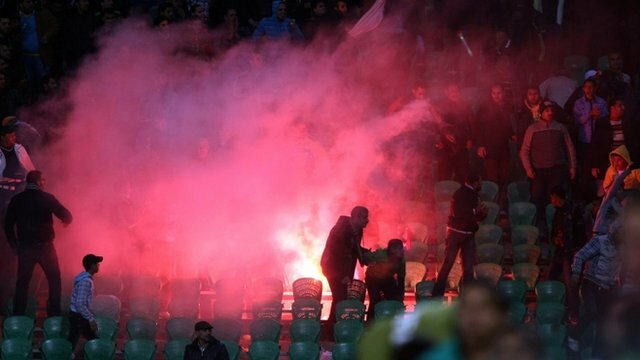 Scores die in Egypt football riot Jump to media player At least 73 people have been killed in clashes between rival fans following a football match in the Egyptian city of Port Said, state television reports. Aftermath in Egypt football stadium Jump to media player Egypt's ruling military council has announced three days of mourning after at least 74 died in clashes between fans of rival football teams. 'Egypt will not be destabilised' Jump to media player Head of Egypt's ruling army council, Field Marshal Hussein Tantawi, urges people not to ''remain silent'' about football clashes which resulted in at least 74 deaths, and says ''those trying to destabilise Egypt will not succeed''. 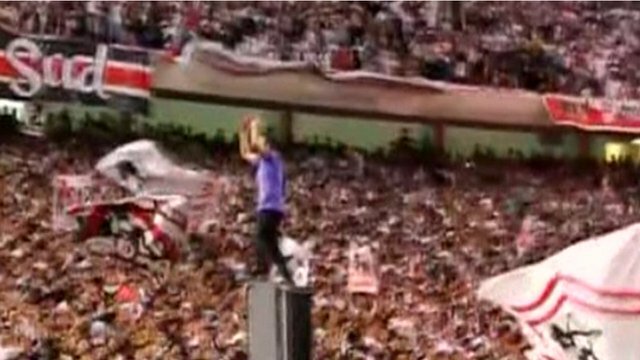 Egypt football fans turn to politics Jump to media player Ultras are better known for their passion for football but now want to take part in party politics. 'Where were Egyptian police?' Jump to media player Egyptian journalist and author Ashraf Khalil has questioned the level of security at a football match, that exploded into violence. 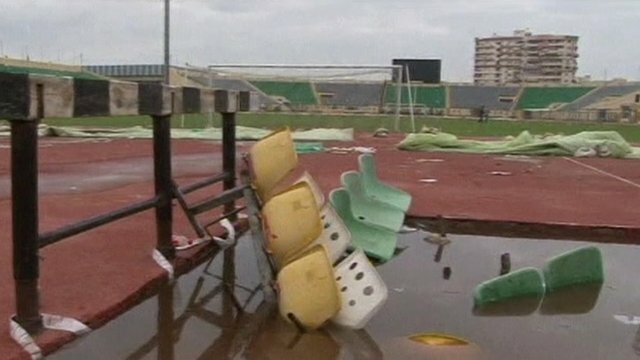 At least 73 people have been killed in clashes between rival fans following a football match in the Egyptian city of Port Said, state television reports. 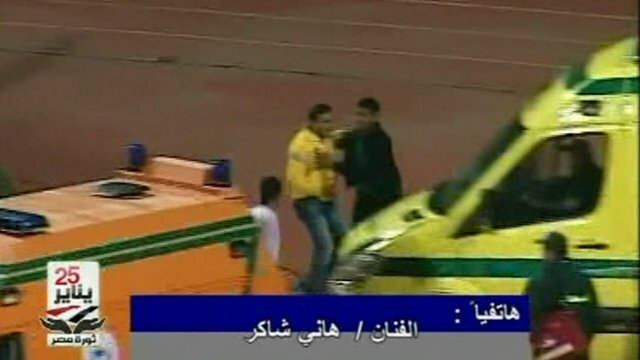 The deaths occurred as supporters invaded the pitch after a game between top-tier clubs Masry and al-Ahly on Wednesday. 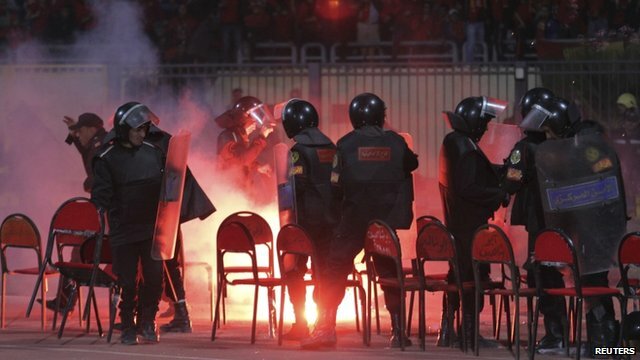 The BBC's Jon Leyne says a lack of the usual level of security in the stadium may have contributed to the clashes.